Recruitment is biggest headache for every company especially when you need more talent to grow your business. Most recruiters would gravitate to a few common recruiting challenges. Here are the 5 common recruiting challenges we hear most often. If you tried to look for the right candidate among a group of unqualified talent, you’ll know that your options are limited. You probably will choose the best person in your list but might not the best fit for the job. The best way to hire the right people is often from a smaller pipeline of more qualified talent. Tips: Be clear about the requirements in your job ads. Include yes/no questions asking candidate some key question such as ‘Do you own a driving license?’ when you need someone with driving license. It’s a fast way to screen out people who aren’t right for the role. Candidates with hard-to-find skills are often considering several job offers at the same time and often contacted regularly by recruiters, this make your email harder to stand out. You need to put extra effort to persuade the candidate choose your company over your competitors. Tips: Find out what will attract applicants choose your company and emphasize it. Describe what you can offer them instead of what they can do for your company. Vacant position cost money and delay operations, so hiring team usually want to hire as fast as possible. 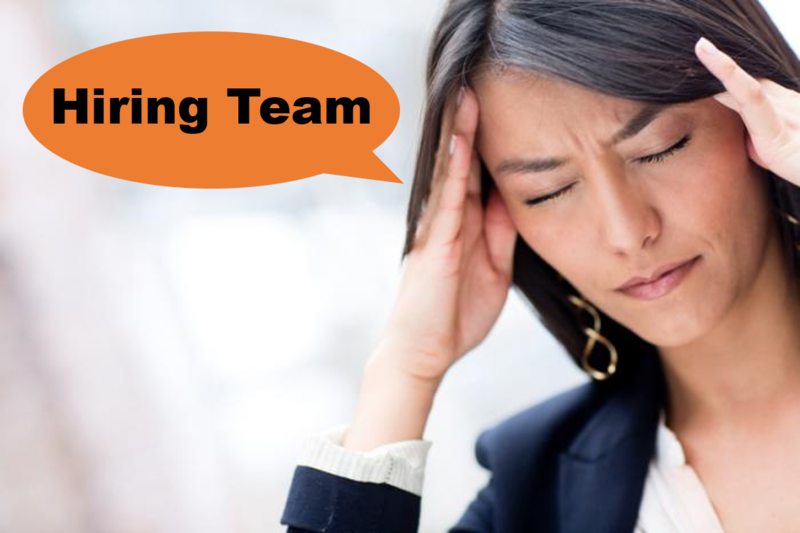 Manager might put pressure on recruiters and hiring team will feel frustrated. A long time to hire may because of shortage of qualified candidates. The hiring process may be too long or hiring teams might struggle to reach a consensus, resulting in the best candidates finding jobs elsewhere. Tips: Explain that to the hiring teams and set expectations early on. Let them know what a realistic timeline is and highlight the importance of hiring carefully for roles where a bad hire could cost a lot of money. Employer brand is important to help you attract better candidates. Company that invest in employer branding are more likely to make a quality hire. Build strong employer brand is a complex process that include ensuring your employees promote your culture in a positive way. Tips: Always reply reviews online no matter good or bad. Encourage your employees or former employees tell their story about working in your company and what they like about company. Be a good employer. The way you treat candidates during the hiring process mirrors the way you’ll treat them after hiring. If they had a bad experience, they’re less likely to accept. Conversely, positive candidate experiences can enhance your employer brand and encourage good candidates to apply and accept your job offers. Tips: Give the candidate all necessary information include who to ask for and what to bring if you are scheduling an in-person interview with them. Inform reception they’re coming and don’t let them wait in the lobby. Struggle in hiring talent in short period? Unqualified applicants more than qualified applicants? Always received unqualified candidates make you frustrated?